Losing the cross was a very sad moment, however our thoughts were with Richard and what could be done to help. I put forward suggestions to Richard and once he had looked at all eventualities the go ahead was given, and the search for a specialist wood yard began. The history and durability of the wood needed to be established. It’s size correct. The metal sleeve that the cross would need to be housed in was easier to organise. Our neighbour’s son Tony offered his services and after discussions I knew he was the right man for the job. At last after trawling the internet I found what appeared to be right wood yard for the job. I made contact and found they were eager to help. Tony [No 2] would be my main contact. After a few phone calls work was under way. Oak was chosen and this became one of the most rewarding pieces of work I have ever been involved in. 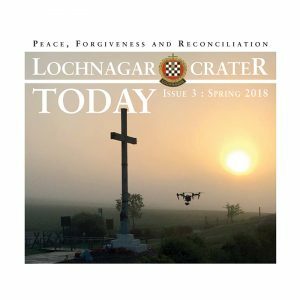 Lochnagar Crater once again became a focal point of interest and topic of conversation with the team I worked alongside at the wood yard who also became new friends and are now eager to visit the Crater. The oak came from Lincolnshire where it was cut to size. 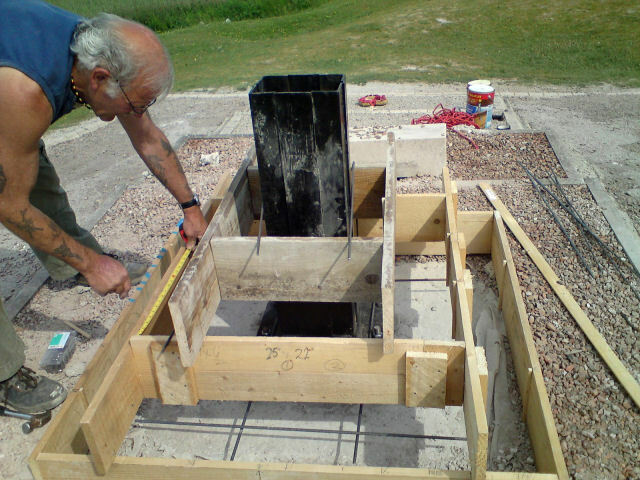 When it arrived was laid it out on sleepers ensuring it remained perfectly flat. To give the oak the desired effect we planed it by hand. Markings were made to ensure correct proportions. Joints were made to strengthen and therefore lengthening the life of the cross. Throughout this work the conversation was around the Crater and the boy’s who fought there. Phone calls, regular visits to the wood yard, and anxiety around “getting it right” were the order of the day. 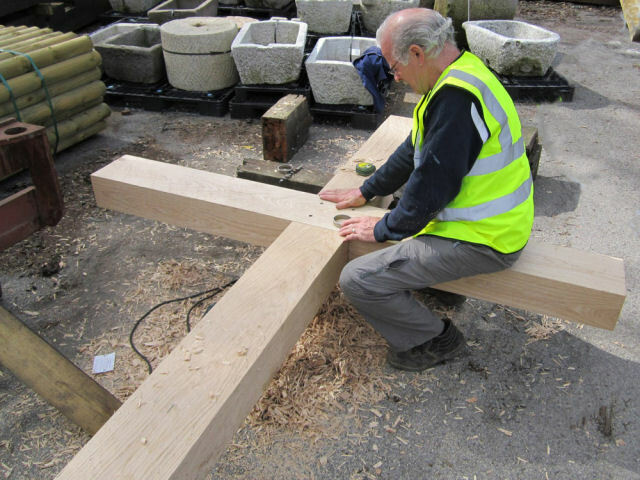 Being involved in the making of the cross has at times been overwhelming. However I feel privileged to have been involved in its construction and preparation for safe transportation. It’s eventual purpose always foremost in our minds. 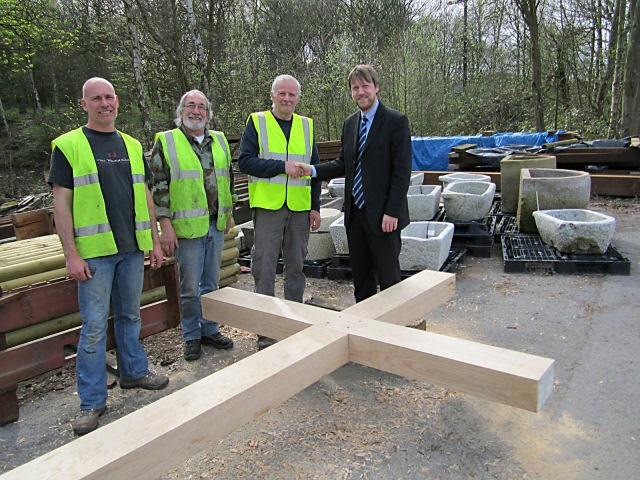 The wood yard both stored and cared for the cross until Warren arrived to ensure its safe arrival to its new home. Each person present on the day the cross was erected will have their own account of that day. For me it was a worry and a pleasure, as well as a triumph for all who were there.